Photo Gallery #219: Click edit pencil to get the selected gallery name. Fixture: Greene pendants LP-252. 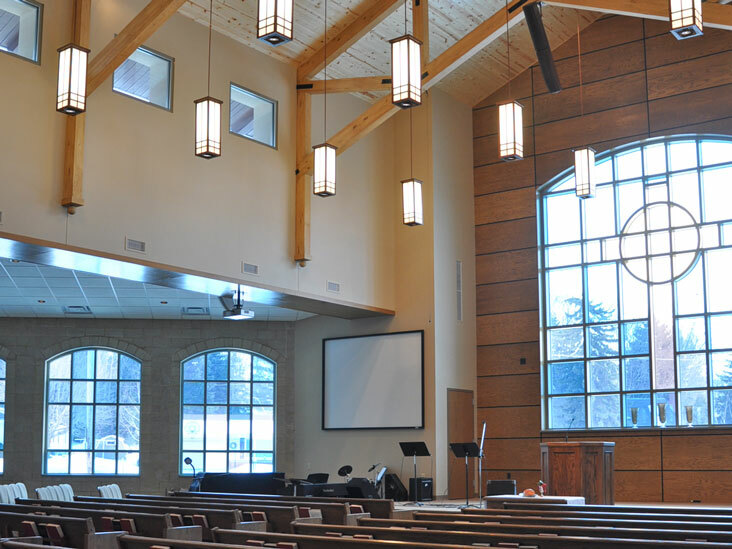 Standard Greene pendants in this sanctuary include 40 watt compact fluorescent lamps and an integral emergency battery back up system to power one lamp in case of power failure.